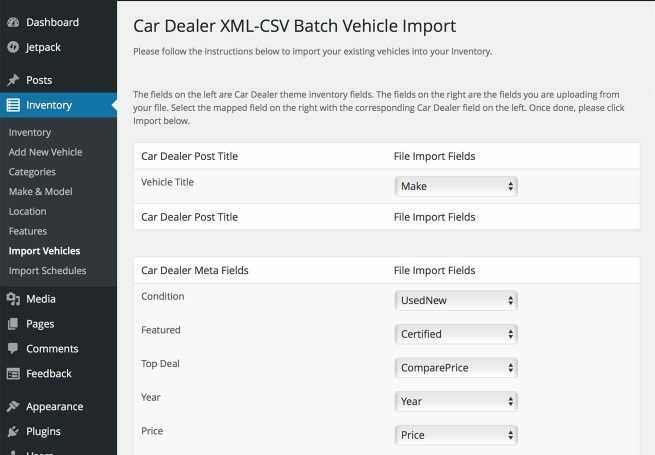 Only once map all external fields to AutoTrade fields. 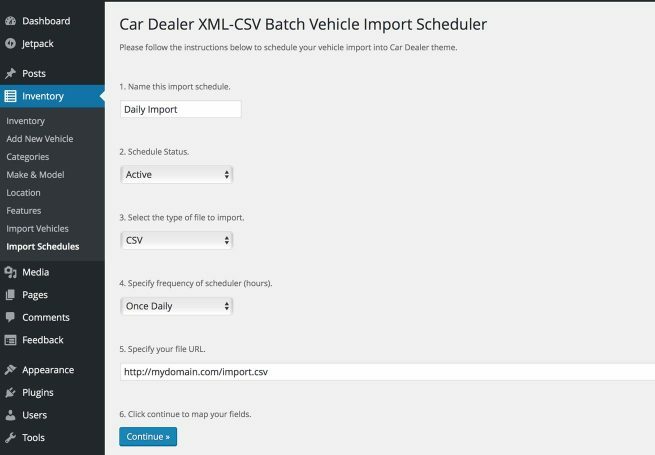 For one time import of XML or CSV files together with the Automatic Scheduler Import module AutoMax ships with an easy to manage CSV or XML file import to migrate your inventory to WordPress AutoTrade theme in 3 easy steps. 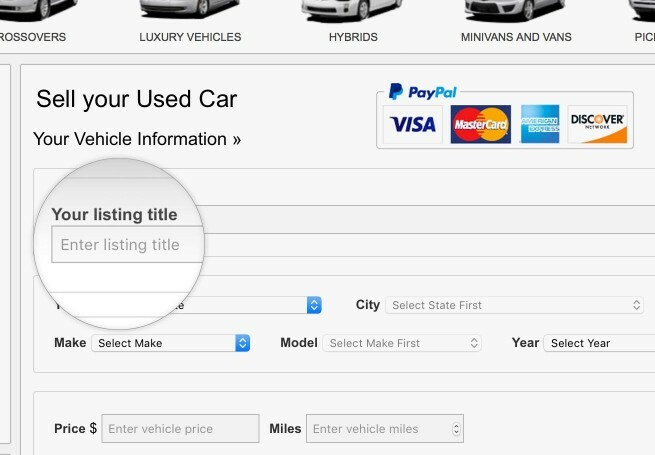 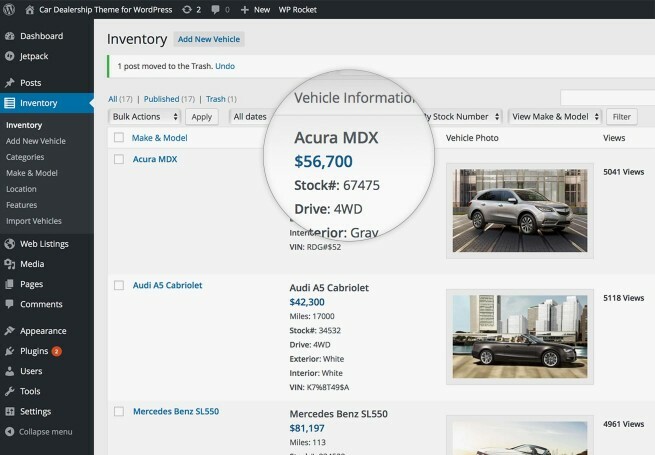 Map your previous inventory fields to AutoTrade fields together with photos, categories and all vehicle information. 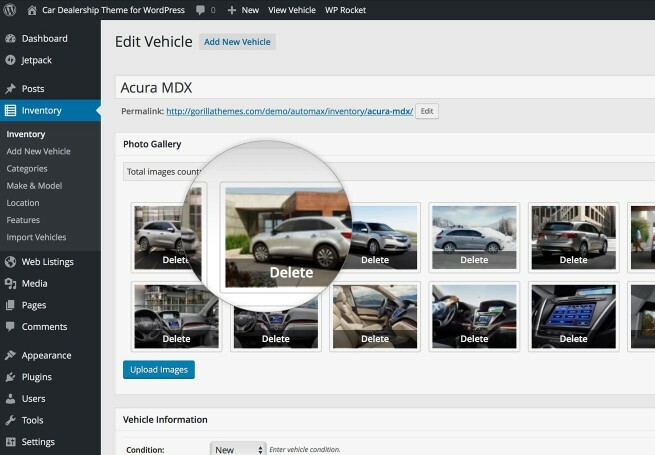 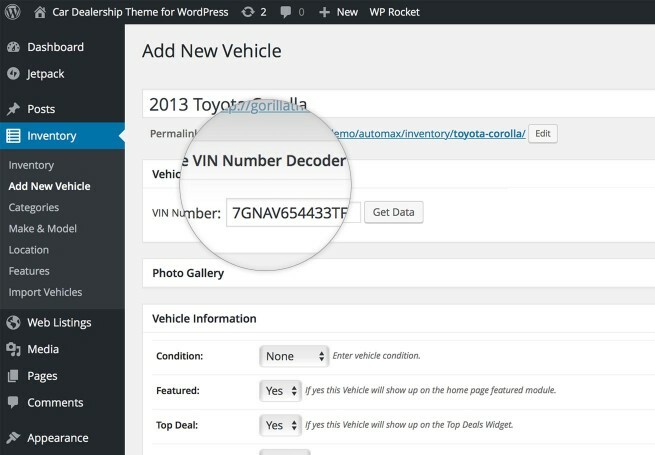 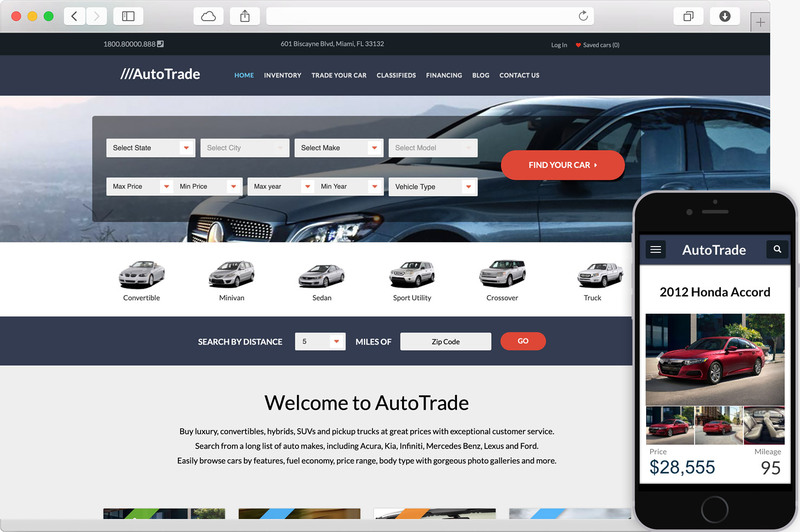 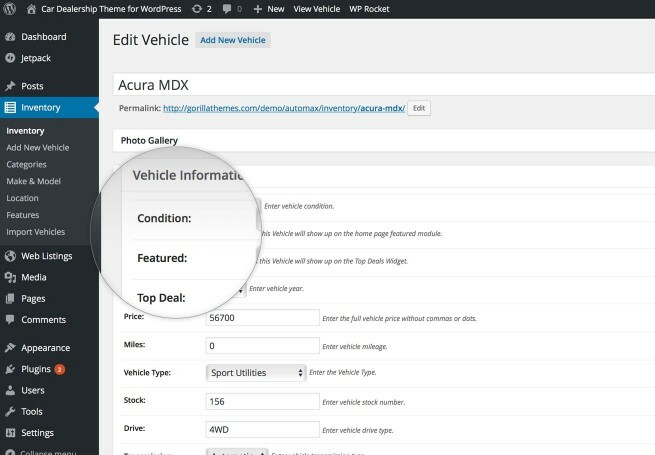 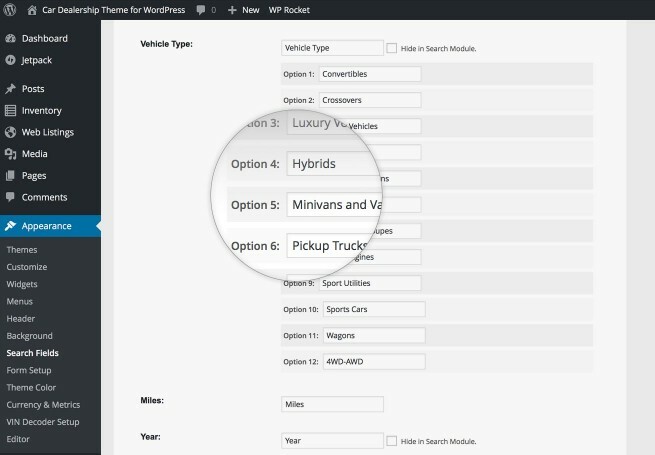 WordPress AutoTrade theme widgets will give you the option to show and hide almost any part of the theme from your visitors and making AutoTrade a very flexible theme to showcase your car listings.